Is your city in need of a new park pavilion? 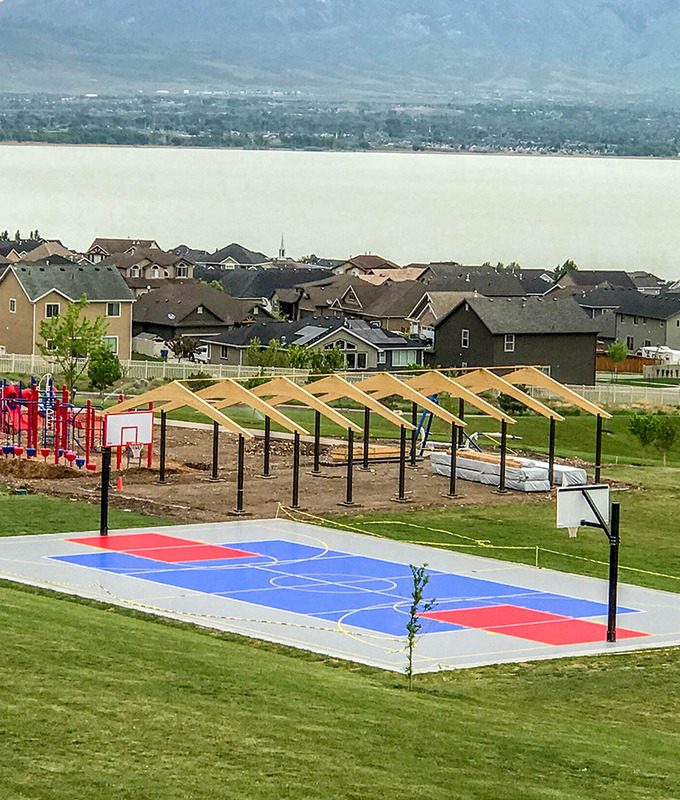 Call (801) 414-1724 to get started on your pavilion project. 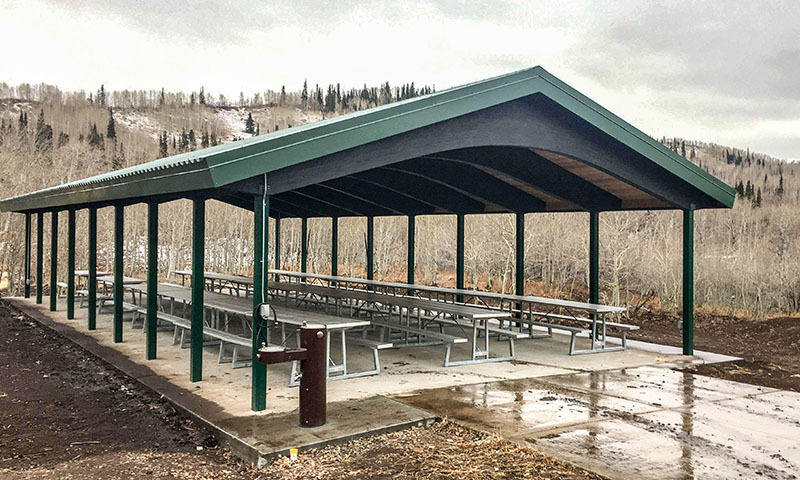 At Smith Steelworks, we provide the park pavilion for churches, city parks, and campsites around the United States. Each pavilion is available in a variety of sizes, roof types, and color options. As the manufacturer, our team will provide all the components for your pavilion kit including: electrical, roofing, anchor bolts, and more. Stamped engineered drawings will also be included. The pavilion is designed with high beams and no low hanging bolts. This keeps the park pavilion safe from climbing and roughhousing. The pavilions are designed with certain snow load and wind psfs. The metal columns are powder coated to prevent rust and corrosion. We offer a variety of pavilion options to fit your park’s needs. The GluLam Beam Pavilion is our most popular option. The GluLam Pavilion features a wooden deck and choice between shingles or metal roof. Our most common size for parks and churches is 30′ x 60′. 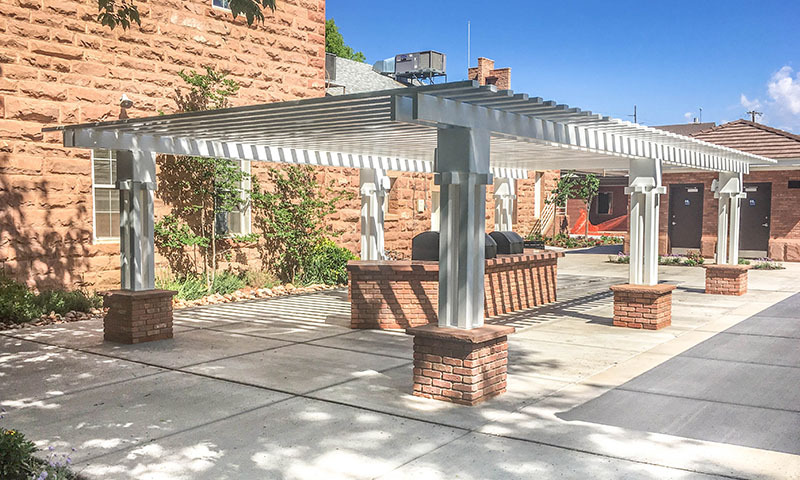 The Steel Pavilions are available with custom colors for: beams, purlins, columns, and roof top options. 20′ x 20′ and 30′ x 36′ are our most popular size options. Enhance the look of your garden or walkway with a cross beam and open lattice pergola. 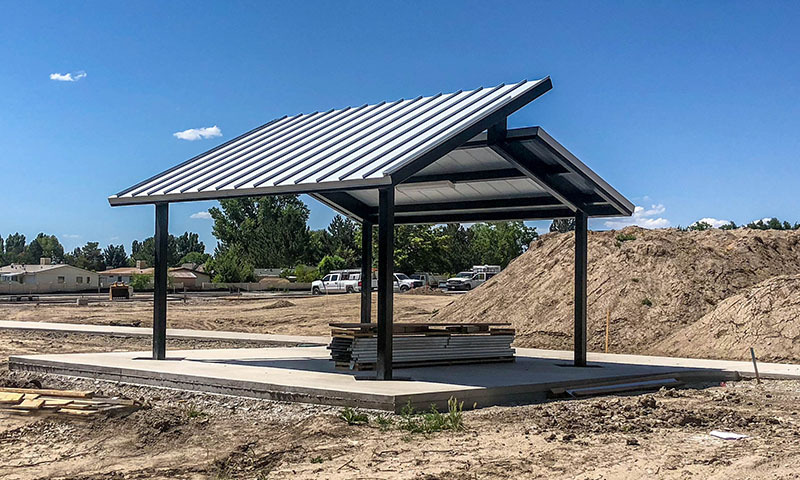 The full metal shelter is available in a variety of color options. Our park benches are available in a variety of designs, sizes, and color options to enhance any landscape. A custom logo can be laser cut directly into the back of the metal bench. 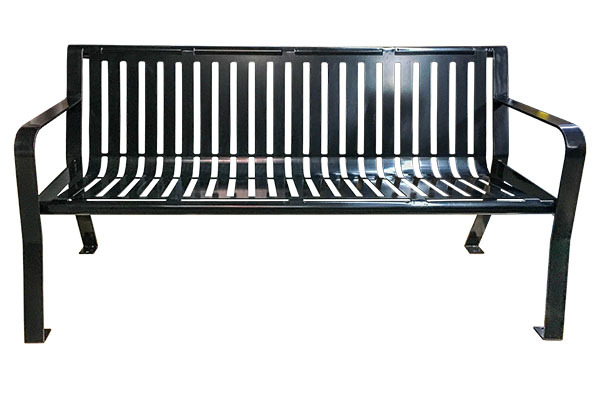 The powder coat finish protects the bench from rust and corrosion. 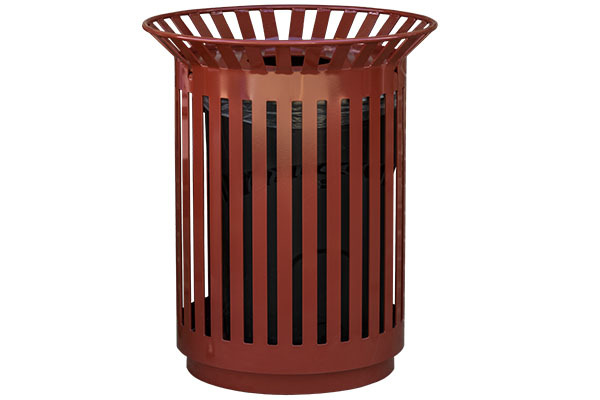 Keep your park free from litter with one of our premium trash receptacles. Each receptacle is equipped for easy bag removal, quick cleaning, and two sizes. The trash receptacle will be a perfect addition underneath the park pavilion. No pavilion is complete without picnic tables. 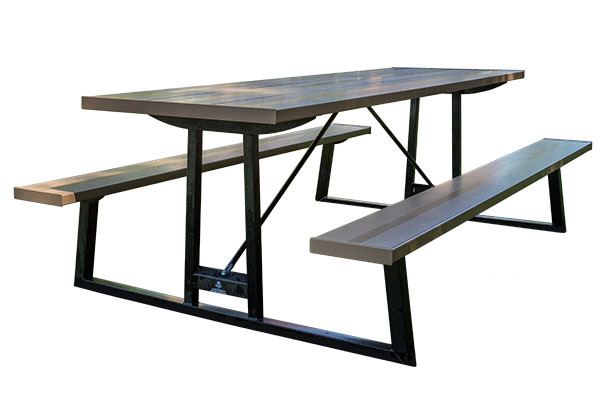 Our picnic tables are available in six and eight foot sizes, with ADA Compliant options. For added safety, angled legs are used to prevent the table from tipping.